The BHS store in Rotherham will close at the end of July after liquidators were brought in by administrators who have so far failed to find a suitable buyer for the national retailer. The Parkgate store has been in "close-down sale mode" since the appointment of liquidators in June. BHS Group Ltd was acquired by Retail Acquisitions Ltd in March 2015 from the Acardia group. The department store operates some 164 outlets in the UK and was acquired by Sir Philip Green's Arcadia in May 2000. In the same month it denied that a list of 52 stores were those being considered for disposal. The list included BHS stores at Parkgate Shopping in Rotherham and at Meadowhall in Sheffield. Working with restructuring professionals at KPMG, the owners announced details in March this year of a proposed company voluntary arrangement (CVA) which divided BHS's 164 store portfolio into three main categories, based on the commercial viability and strategic importance of each site. Administrators, Duff & Phelps confirmed that all stores are closing as part of an "orderly wind-down" of the business. Closure dates for 50 stores were confirmed this week. 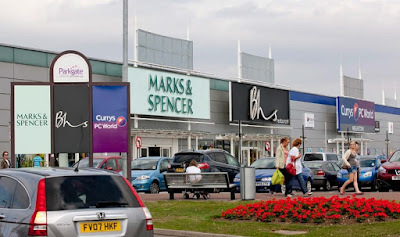 Dave Gill, national officer at Usdaw, the trade union for the retail sector, said: "This is terrible news for the staff in the 30 stores affected, on top of the 20 stores that are closing this Saturday. Our hope is that other retailers, including Sir Phillip Green's Arcadia group, will offer employment to these experienced, dedicated and loyal staff who suddenly find themselves unemployed. "At the same time we are aware that the administrators are continuing to seek a buyer, who will hopefully be able to secure the future of the staff in the remaining stores. "We remain concerned that there is still no news from Sir Phillip since he promised to "sort" the pension scheme and we wait to hear details of what he proposes. In the meantime we are providing the support, advice and representation our members require at this difficult time." BHS has seen its profitability decline as it has sought to respond to changing customer behaviours, increased competition and the rise in omni-channel retailing. It also has a reported pension defect of £571m. The Work and Pensions and Business, Innovation and Skills Committees have been taking evidence as part of their respective inquiries into the BHS pensions, sale and acquisition.